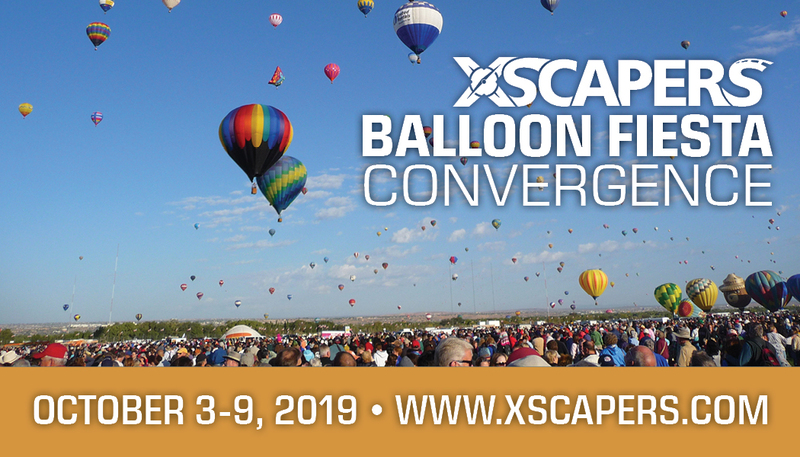 We are excited to take a lucky group of Xscapers to the 2019 Albuquerque Balloon Fiesta! If you haven’t been before, it is a must-see event for any RVer and it holds a special place in our hearts since it is where the very first Convergence took place 4 years ago! There is nothing quite as beautiful as waking up in the morning and seeing hundreds of hot air balloons fly above your RV. During the week you can expect plenty of social opportunities, some relaxed educational discussions, the chance to volunteer with an experienced balloon pilot, a potluck and a group outing with transportation. Our group will arrive before the event starts so that we can all get situated in the group parking area before the chaos of the event starts. This will also allow additional time for socializing. Our group is scheduled to depart on the 9th, so if you would like to stay longer, you will need to book directly through the balloon fiesta. Keep in mind, they are currently on a waitlist, so this is not guaranteed. Parking is in the standard balloon fiesta lot, which is walking distance to the event, but there are also shuttles offered onsite (wait times can be long). All parking will be boondocking, so please plan appropriately. There is a dump service and water fill available on grounds throughout the week for an additional fee. The Albuquerque balloon Fiesta has gotten so popular that they have limited the group spots, and the public spots sold out in a matter of days. We understand that there is great demand for this Convergence, so as a way to thank the Xscapers who are active community members, we are limiting it to those who have previously attended an Xscapers Convergence. Must have attended an Xscapers Convergence. *Rain or Shine. *Evening activities. You will receive confirmation of your purchase, please keep this information! Join the FB Group page created for this event specifically. This page will be used for communication leading up to and during the event. You will also receive instructional emails a few week prior with more information as needed. Tickets are non-transferable. 10 percent cancellation fee of the full registration amount will be deducted from any refunds 30 days or more prior to the event, unless stated otherwise. There are no refunds 29 days or less prior to the event. Email jp@escapees.com to cancel. Get On Waitlist	 This is to get on the waitlist for the Xscaper Balloon Fiesta. You must have attended a past Convergence and be an active club member to be eligible. Have you attended a Convergence previously? What was the name of the Convergence you attended?